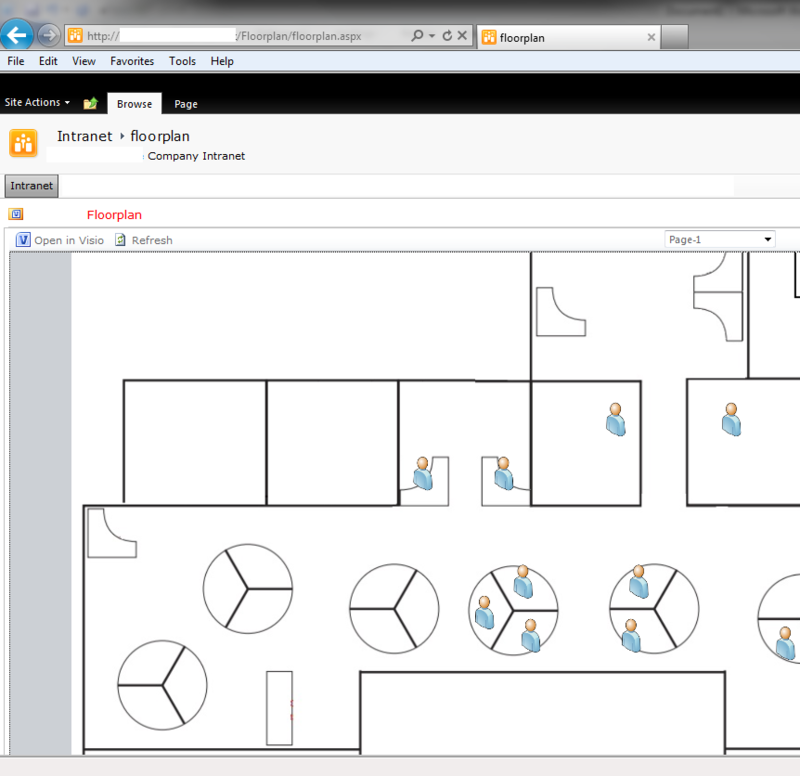 This guide outlines how I built a dynamic floor plan that gets details out of AD and displays them in SharePoint 2010. There is two systems working together to bring this up. 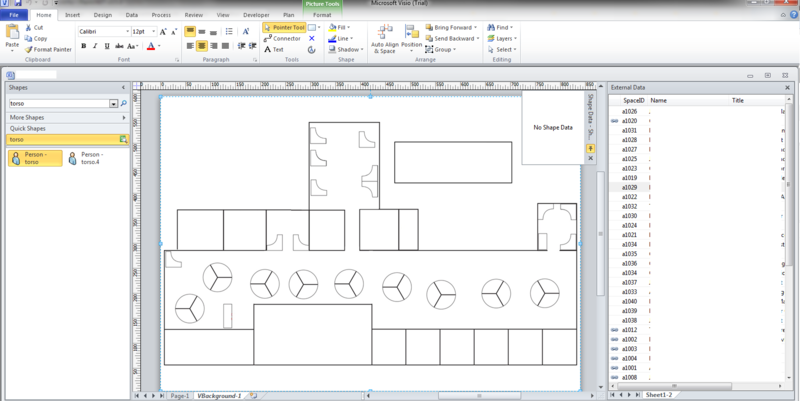 Firstly a Visio Web Drawing, that is linked to a spreadsheet in SharePoint, stores the floor plan image and icon locations and popup content. Its displayed on a web part page with a little bit of hidden JS on the side to display the popups. Behind the scenes I also have an application that periodically polls Active Directory for user information and updates the spreadsheet. 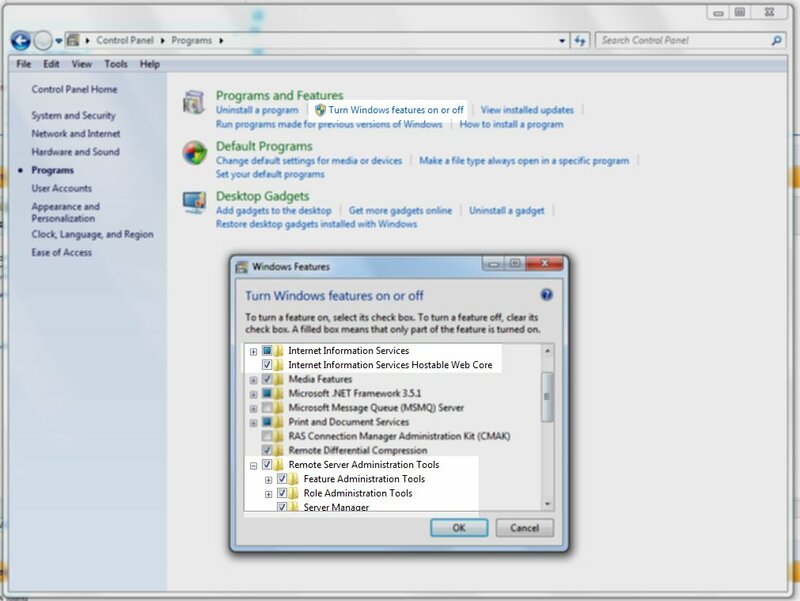 It is a console application, requires office 2010 to be added as a service reference. You could easily re-write it to use a different office version I am sure. Public sSPURL As String = "http://yoursharepointsite.com"
' Bind to the users container. objxlOutApp.Visible = False    'We don't want the app visible while we are populating it. 'This final part is optional, but we Auto Fit the columns of the spreadsheet. objxlOutWBook.SaveAs(strExcelFileOutPath)  'Then we save our file. I have compiled this as a console application then used task scheduler to run it every hour. you could quite easily also create a service and user your own system.timer if you prefered. 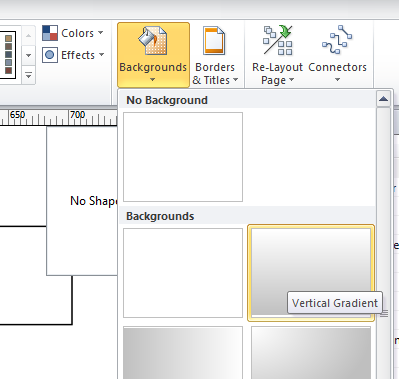 open up Visio 2010, first thing we need is the background image, personally I found it was easiest to set the floor plan image as a jpg in the background instead of an image on the page as it means it won’t get in the way when placing other objects on top of it. To do this, add a generic background, then overlay your image on the second tab of the document like so. You will want your image to be the same aspect ratio as the document (eg letter/a4) so it consumes the entire page. Click Next, choose ‘SpaceID’ as the unique Identifier, and finish. If you have done everything correctly you should now be looking at your blank floor plan with a list of users on the right, something like this. 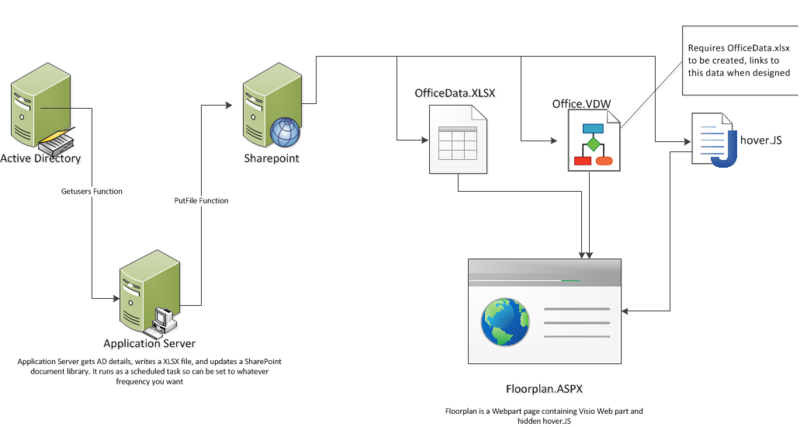 Save the document as a Visio Web Diagram and upload it to the document library. Assuming you have SharePoint set up correctly you could view the VDW as is and it would show you all the people, but nothing happens when you hover over anyone. Almost there! 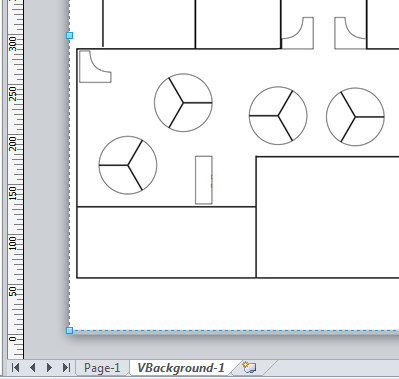 Now create a text file somewhere and paste this into it, save it as floorplan.js or hover.js or whatever you please. // Copyright (c) Microsoft Corporation. All rights reserved. 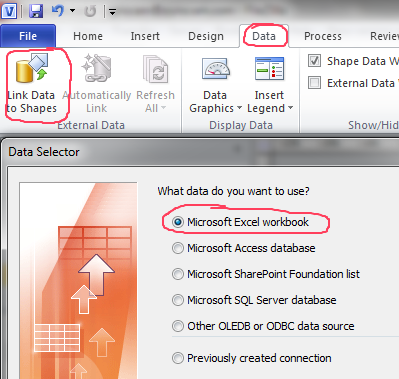 //               to display shape data. // the value of the id attribute of that tag's grandparent to webPartElementId. // Declare global variables for the application. 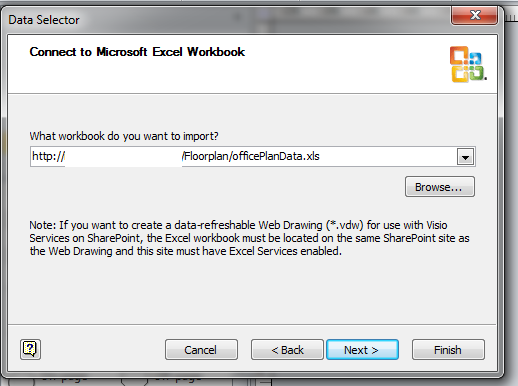 // The HTML tag ID of the Visio Web Access part. 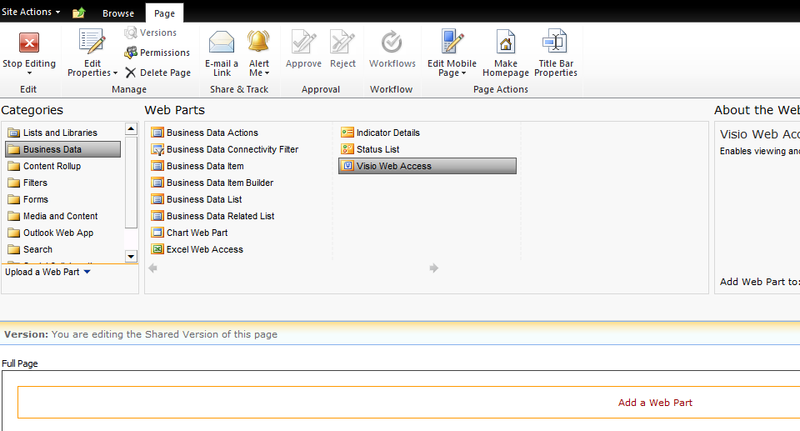 // The Visio Web Access Web part. // The collection of all the shapes on the current page. //  Description:        This function handles the AJAX Sys.Application.load event. //                      raised when a request for a Web drawing page has been completed. //                      and shapemouseleave event handlers. //                  args:   The Visio shape ID of the shape the mouse entered. //                  this function displays shape data. //                  args: The Visio shape ID of the shape the mouse left. //                  this function removes the overlay. Save the page and cross your fingers; View it. 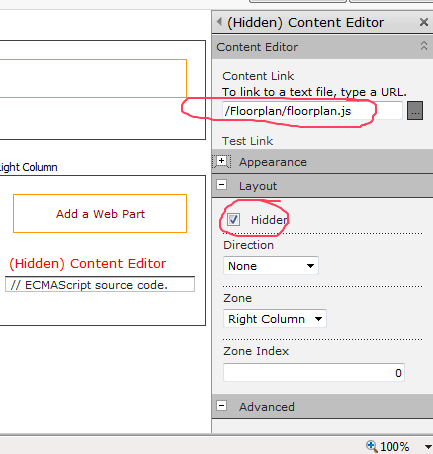 With any luck your page will now show the floorplan, hovering over the people will show relevant details. and everything will be done. You can edit what the box looks like by editing the JS file, line 130 is what you want.